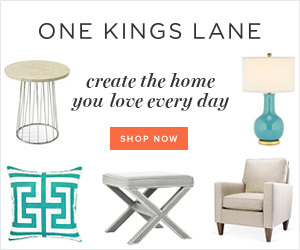 My love for interiors also extends to fashion and all things design oriented thus the name of the blog. Runway to Room is my newest feature and one of the most fun. I love searching for interiors to match outfits that I love or vice versa. I hope you enjoy this Runway to Room series and stay tuned on the blog for more fashion. When I originally saw the first outfit below I loved the clean lines, gold accents and overall simplicity and elegance of the outfit. 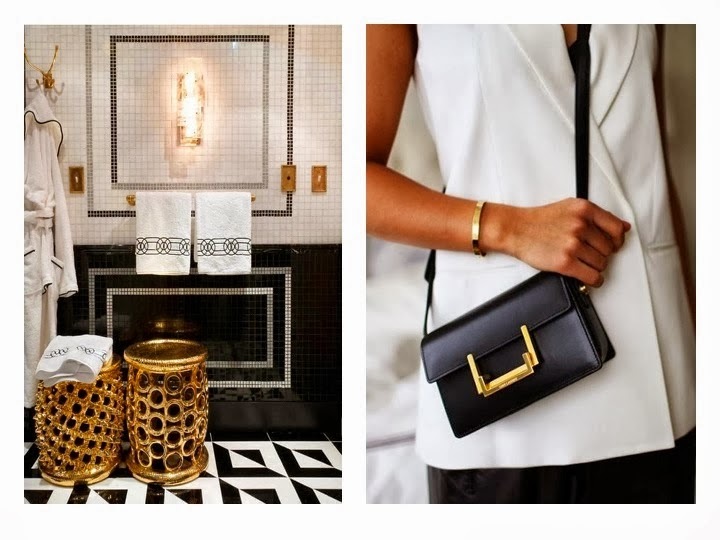 While the bathroom has the same linear qualities and gold accents there is a more obvious glam factor. After the jump see more interiors and outfits which look like they were made for each other. This outfit is true to my own personal style. 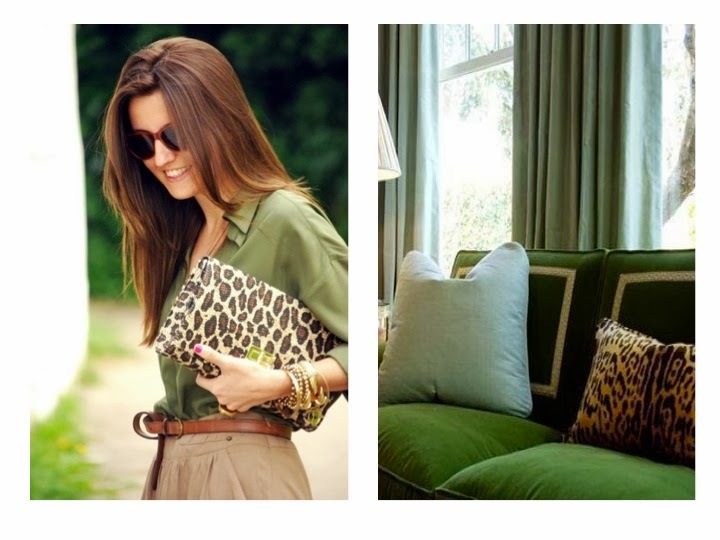 The leopard clutch adds the necessary amount of print to make both outfit interesting as does the throw cushion in the room. Both the room and outfit have a layered and luxurious feel to them. Glitter, Details and texture make both the outfit and the space extremely luxurious. The outfit stays within the same colour scheme but the different textures and hardware break it up and add a sense of luxury. The room evokes the same luxurious feeling with the upholstered and tufted wall, molding detail and the gold frame of the sofa is instant glam. Like this post? See more fashion and interiors here on the blog and stay tuned for more Runway to Room features coming soon.